What sort of information should not be mentioned on a packing list? So far on my website, I have written following articles about the packing lists: "How to create an export packing list?" and "Should the container number be mentioned on the packing list?" I suppose I will be keep writing in different aspects of the packing list, as it is a very important export and import document. Today I would like to explain you what kind of information should not be covered under the packing list and why. Packing list is not a financial document. 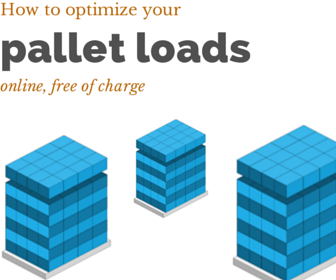 It is used by logistics personnel, who should have no connection with the financial information about the goods. Additionally, sometimes packing list may be delivered to the final customer as is, without checked by the importer, who is the intermediary company between the exporter and the final buyer. Mentioning financial information on the packing list would harm the business of the importer company. 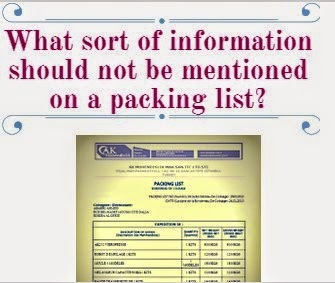 As explained above, a packing list should not show financial information. Unit Price: Unit price is a sensitive information and should not be mentioned on the packing list. Total Price: Total order amount is another piece of information that should not be stated on the packing list. Discount Information: Any discount amount or percentage should not be written on the packing list. Commissions: Any commission amount or percentage should not be shown on the packing list. Do you think that there are more additional information exist that should not be mentioned on the packing list but not covered by us. Please feel free to let us know your thoughts with your comments.